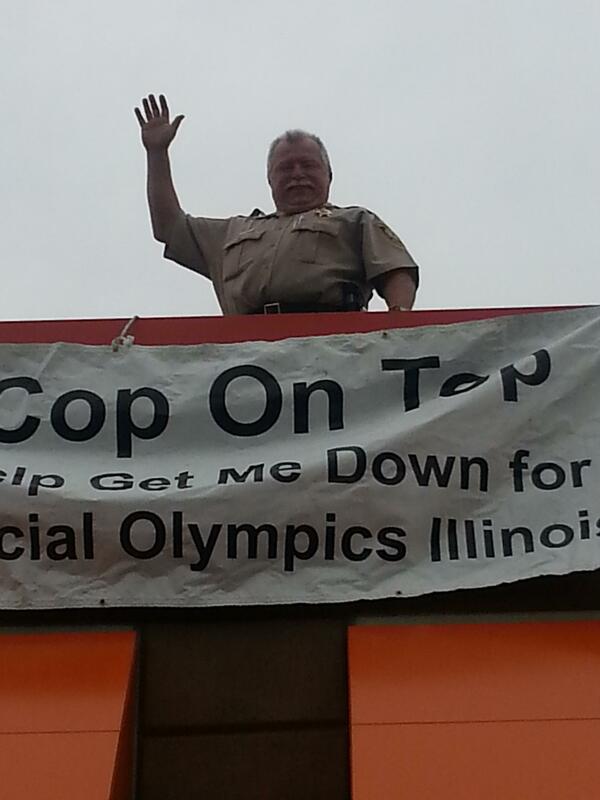 The Westmont Police Department took part in the DUNKIN’ DONUTS COP ON TOP fundraising event Friday, May 20, from 6 a.m. to Noon by standing on top of the 2 Dunkin’ Donuts locations in Westmont. The annual fundraiser raised $3,107.00 for Illinois Special Olympics. Thank you Westmont Police Department!